Bibliotherapy: the healing power of books. Early this year, it was announced that English GPs were to prescribe self-help books which patients suffering from anxiety, panic attacks and depression could borrow from their local library. The idea is clearly to help the 6 million people in England suffering from depression, considering that as much as two third of those people are not treated. Used in Wales as a treatment against mild cases of depression since 2005, bibliotherapy does work, as a medical research pubished in the journal Plos One shows: patients who have been reading targeted books for over a year have seen their levels of depression decrease significantly. A long-time believer in the healing power of books, philosopher Alain de Botton opened The School of Life in 2008. Located near King’s Cross in Central London, the school is a cultural enterprise whose aim is to offer services concerned with how to live wisely and well. As such, it includes a bibliotherapy service to guide people into the fascinating but often complex world of literature. 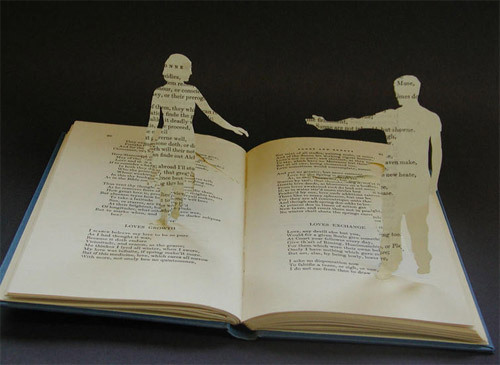 A specialist explores members’ personal relationship with books and comes up with a selection perfectly suited to them and their needs, helping them discovering new literary directions. In France however, bibliotherapy still remains largely unknown to most people. A few articles have been published in national newspapers and magazines but word isn’t spreading as fast as in other countries like Denmark or New Zealand. Let’s hope that this article will help giving bibliotherapy a good press!